Today we explored Zedekiah’s Cave, which is under the Old City of Jerusalem. 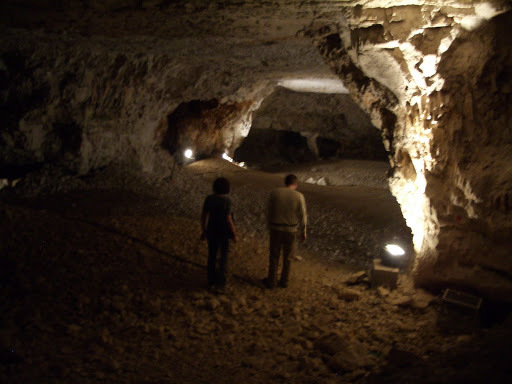 It started out as a natural cave with the entrance on the north side of the city. In Solomon’s time, and then again in Herod’s time, the limestone from the cave was quarried out for the construction of both the temples. 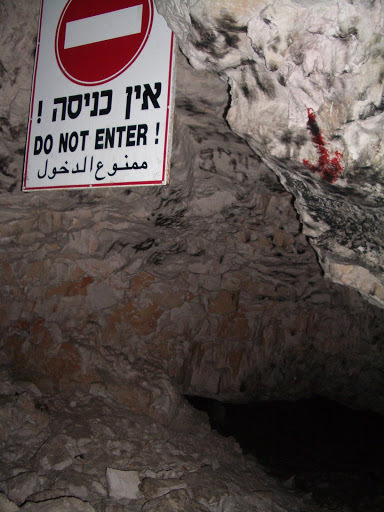 Now it is no longer a small cave–it is a huge cavern that extends all the way under the city of Jerusalem, and one finger of it reaches almost to Jericho! Pretty awesome, it sure beat the heck out of the tunnels under Lehi. Pretty cool trilingual sign too. I am getting awfully jealous. You are awesome, no doubt about it.